When anyone is injured in North Carolina, determining whether he has a valid claim against another person and determining the damages to which he is entitled is a complicated issue. When a minor (a person under eighteen years old) is injured in a car accident or other type of accident in North Carolina, several additional issues are raised, which can greatly further complicate the claim. 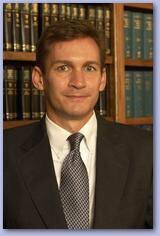 An Article in the Campbell Law Review written by John Kirby addresses some of these issues. A child can sometimes have a claim where an adult would not have a claim. A child’s statute of limitations is often different from that of an adult, and the defenses to such a claim can be different. Further, there are procedural differences, such as the need for a “guardian ad litem” for the child in a court proceeding. In a more complicated case, one might need to assess whether the minor’s settlement will impair his or her rights under, for example, SSDI or Medicare. The use of trusts in such cases can greatly enhance the minor’s net recovery, and the use of an “annuity” is often a good option when settling a minor’s claim. This is an ever-evolving area of law. In a case decided on March 22, 2012, the federal court held that Medicaid’s lien against the settlement of the minor’s claim attaches only to that portion of the settlement reflecting medical expenses. Armstrong v. Cansler. John Kirby has represented several minors asserting claims and has defended many claims by minors. These claims range from minor injuries to post-traumatic stress disorder, loss of a body part, and traumatic brain injury.